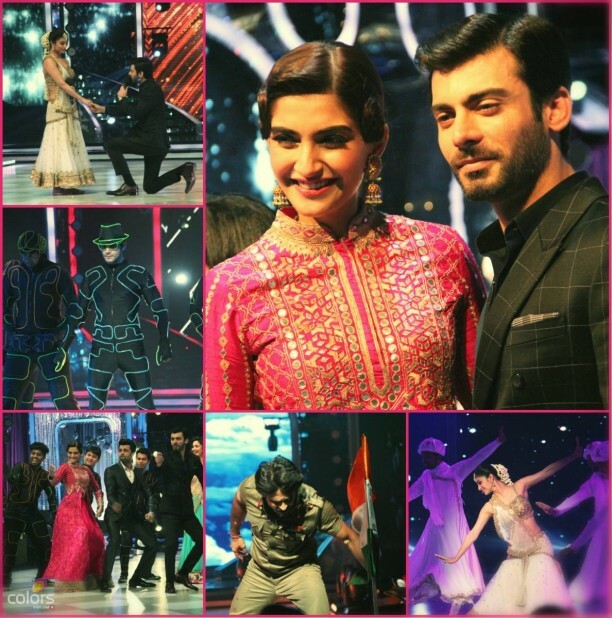 Jhalak Dikhhla Jaa 7: Sonam Kapoor, Fawad Khan, dancing groups and a dance marathon! The show opened with rehearsal clips of the contestants showing how hard they had been rehearsing for this week’s performance. It also transpired that Shakti, Ashish, Mouni and Akshat were all unwell due to stress of rehearsals. Shakti was suffering from, low blood pressure and her doctor had advised her complete bed rest which meant she was unable to perform in this episode. She did however request her fans to keep voting for her. There was no face-off this week due to the Ganesh Chaturthi festival which meant all the contestants were safe. 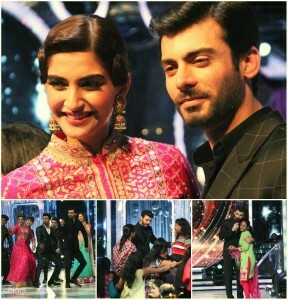 The special guests of Saturday’s episode were Sonam Kapoor and Fawad Khan who had come to promote their latest film Khoobsurat. Fawad is also a Pakistani TV serial actor and so a lot of his own fans were present in the audience. In this episode of Jhalak, the contestants would be dancing with a dance group instead of with their usual choreographer. First to perform was Mouni and Kathak Rockers from Luidhiana. Their chosen dance style was semi-classical and their chosen song was ‘Afreen’ by the late Nusrat Fateh Ali Khan. The judges loved the Sufi elements that were added to this performance and felt that it was a visually stunning performance. Mouni was given 28 marks. Host Manish then told Fawad that Mouni is a huge fan of his TV serials. As Fawad is also a singer, he sang ‘Dilbar Mere’ for Mouni. Next to perform were Akshat and the very popular group MJ5. Their chosen dance style was MJ/animation. Their song medley consisted of ‘Laal Dupatte Waali’ (from Aankhen), ‘Maar Daala’ (Devdas) and ‘Tunak Tunak’ by Daler Mehendi. The judges loved the performance and they felt Akshat is an extremely versatile and adaptable dancer who can dance under any given circumstances. Akshat was given 30 marks. Then a light moment for the special guests and judges who had a game of dumb charades but with a twist as they would have to draw the clue instead of acting it. The moment ended on a musical note as judge Madhuri gracefully sang the last clue. The lights then blacked out which initially scared everyone, but it was only time for the next performance! 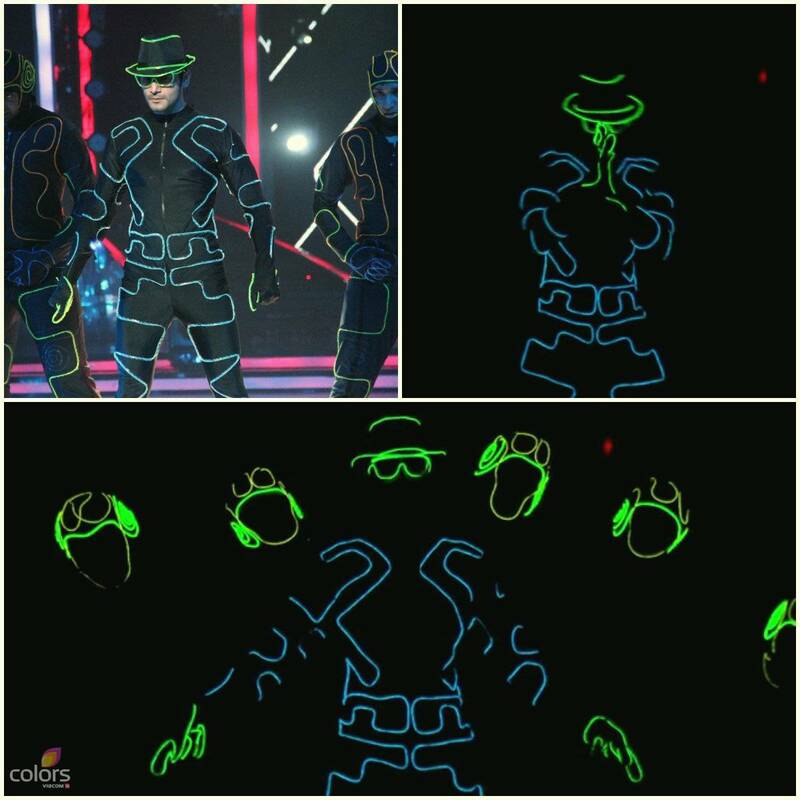 Karan Tacker was performing with the dance group Illuminati on stage. Their chosen dance style was Hip Hop/Freestyle and their chosen song was ‘Thamma Thamma’. The judges really appreciated this performance as the special effects provided by Illuminati gave it a different look altogether. As this song originally belongs to judge Madhuri, she came on stage to dance with the dancers on the song. Karan was given 27 marks. 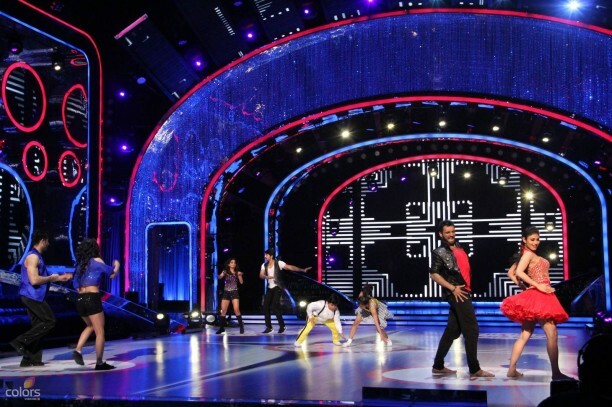 Shakti Mohan then came on stage to simply make a vote appeal as she was too unwell to perform this week. We wish Shakti the very best and hope that she will be dancing again very soon! Unfortunately her marks for this episode were zero. It was then time for Ashish Sharma to perform with I am Hip Hop who are from Mumbai. 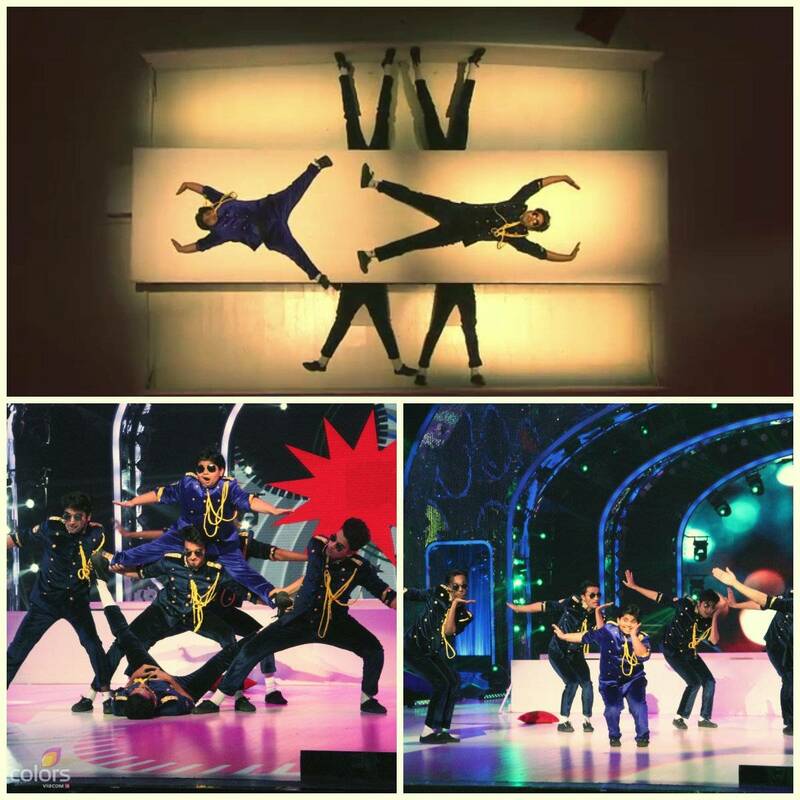 Their chosen dance style was krumping/hip hop and their chosen song was a combination of ARR and Singham. The audience learnt that Ashish was very unwell before and during this act. His act was a very patriotic one which told the story of a soldier fighting for his country. The judges appreciated his efforts wholeheartedly because they know it is not easy to perform when one is unwell. Ashish was given 27 marks. 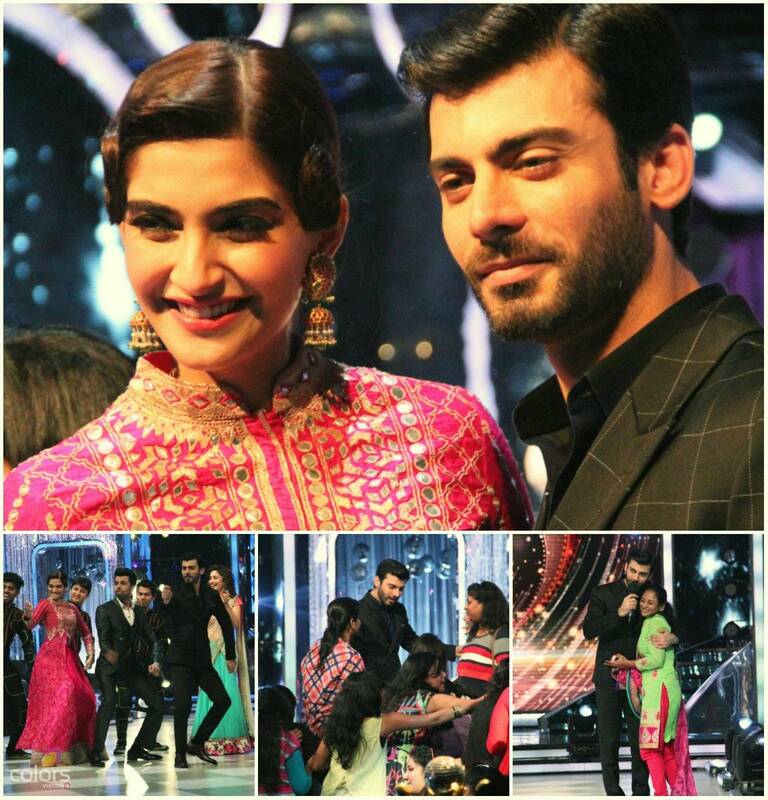 The show ended with all the dance groups dancing with the judges and special guests on the songs from Khoobsurat. 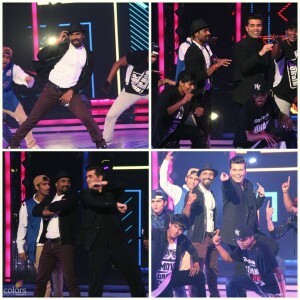 Sunday’s episode opened with hosts Ranvir and Manish dancing to the title track of I Hate Love Storys. Judge Madhuri was confused because judges Remo and Karan were not seated next to her in their usual seats. Host Manish explained they will be there after they perform! Judges Remo and Karan performed on the title track of Desi Boyz. First to perform in Sunday’s episode were Karan and Bhavna. Their chosen dance style was Jazz/Freestyle and their chosen song was ‘Ye Kaali Kaali Aankhen’ from Baazigar. The judges loved the choreography and said Bhawna had done a wonderful job and Karan had supported her very well. Karan was given 30 marks. Judge Remo then danced with Bhavna on the same song. 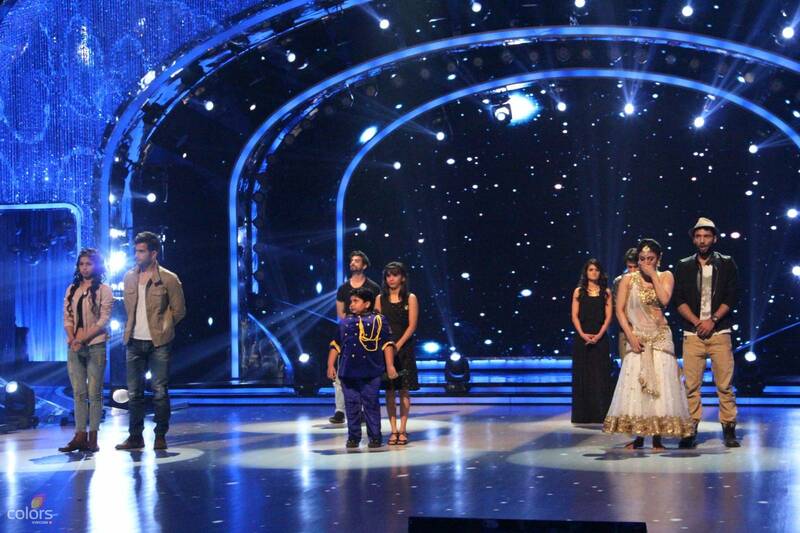 Next to perform were Mouni and Punit. Their chosen dance style was Robotics/Bollywood. Their chosen song was ‘Chikni Chameli’ from Agneepath. 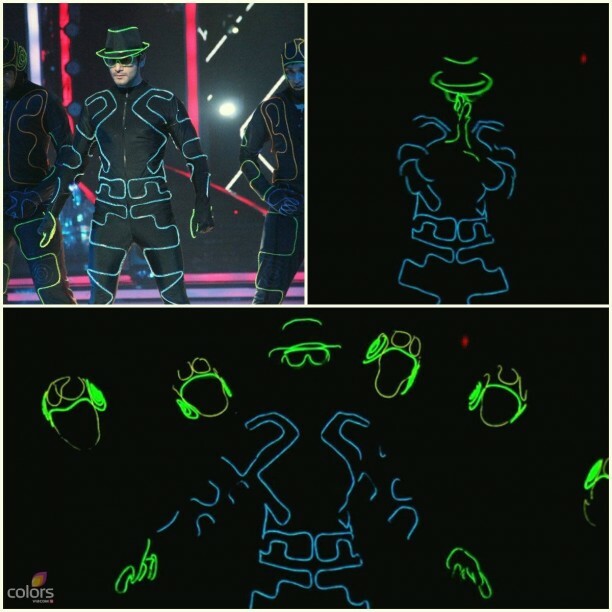 Their act was based on aliens that had landed on the Jhalak stage and were learning to dance. The judges loved this different concept as both Mouni and Punit used different body language throughout their act. It was very well choreographed. Mouni was given 30 marks. Judge Madhuri danced with Mouni and Punit on the song ‘Fevicol Se’ from Dabangg 2. Ashish and Shampa were next to perform. Their chosen dance style was hip hop/freestyle and their chosen song was Bachna Ae Haseeno title song. This song was a total makeover for Ashish. The judges said the act was a sincere effort with very good choreography. Ashish was given 27 marks. Host Manish then decided to have a fun face-off between Ashish, Karan and Akshat on the song ‘O Sawariya’. Akshat who is known to dance non-stop naturally won the face off! He only stopped dancing when Ashish and Karan lifted him up; it was very cute to watch! Shakti then came on stage and told the audience she would not be able to perform today also. The judges and hosts requested her to give a vote appeal as her score for this week would be zero. 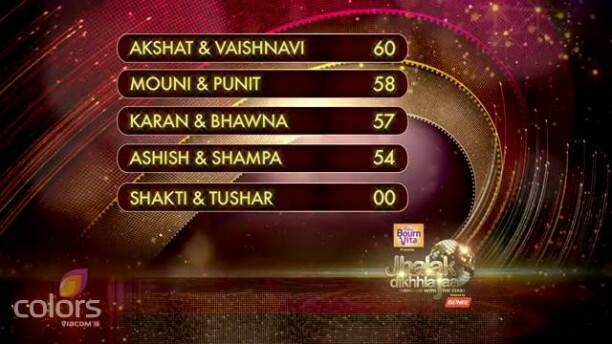 Last to perform were Akshat and Vaishnavi. Their chosen dance style was hip hop/freestyle and their chosen song was ‘Aaila re Aaila’. Their act was based on the typical Marathi dancing style. Despite also being unwell, Akshat performed extremely well with full energy. The judges fully appreciated Vaishnavi in this act. Akshat was given 30 marks. It was then time for the Jhalak Dikhhla Jaa dance marathon. This was a chance for contestants to gain extra points. The first contestant that would be out of the marathon would receive 4 marks, the next 6 marks, the next 8 marks and the last would win 10 marks. Ashish was the first to leave (4), then Karan (6), then Mouni (8) and then Akshat who not only won the marathon but also received the full 10 marks. The contestants were dancing on impromptu choreography to a party mashup. 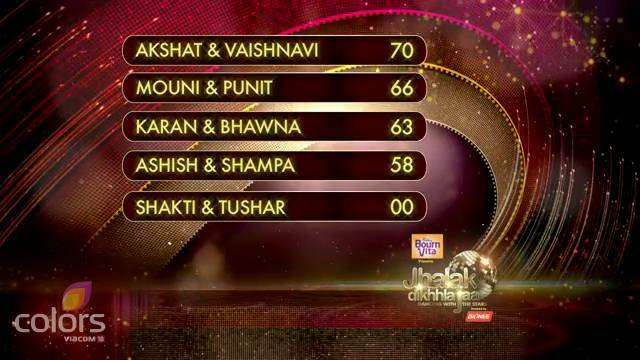 Performance of the day went to Akshat and Vaishnavi. The audience learnt that international dancer and choreographer Ganesh Hedge would be on Jhalak next week! Stay with BollySpice for all the lates updates on your favourite show Jhalak Dikhhla Jaa!